A UD machine will include a multi-end Creel system to unwind the individual bobbins of fiber under controlled tension and will included fiber management and fiber spreading. To make high-quality UD prepreg, each fiber tow must be tensioned, guided and spread to achieve the target fiber areal weight (FAW) uniformly across the web. 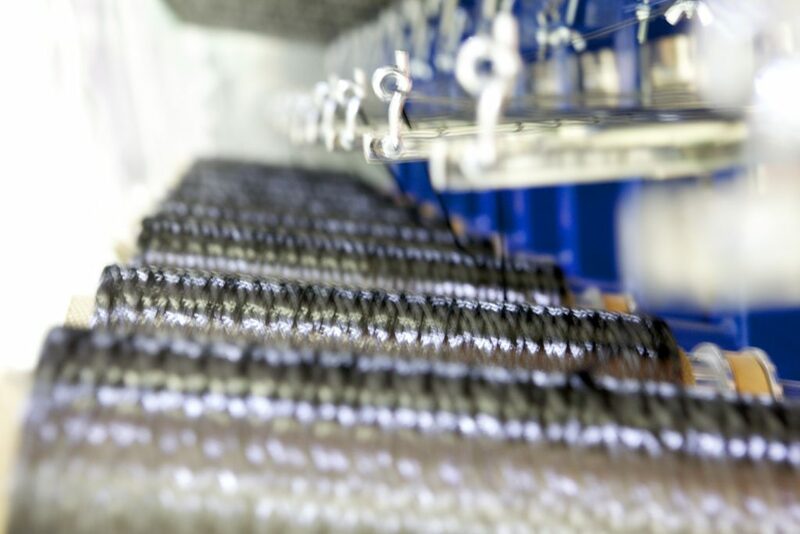 To permit manufacture of multiple fiber areal weights from a variety of tow weights, adjustable combs and fiber spreaders are incorporated into our systems for making UD prepreg. Uniform fiber spreading is critical for achieving consistent fiber areal weight across the web. Our spreaders employ a series of fixed small-diameter spreader bars. Friction over these bars causes the tow to spread. Spreading can be optimized by changing the spacing between bars and the angle of the fiber as it passes over them. Tow spreading is VERY dependent on incoming fiber quality, the amount of sizing, and twist. Compaction is the heart of the hot melt prepregging process. Heat and pressure raise the temperature of the resin and transfer it from the carrier paper or film onto the spread fiber web. Resin flow from carrier to fiber is dependent on the heat transfer from the compaction rolls to the resin. All of our machines incorporate compaction roll sets that can operate in either ‘Nip’ of ‘S-Wrap’ modes. 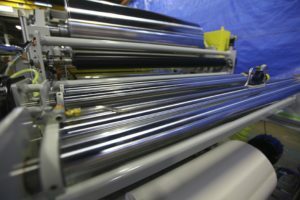 In S-Wrap mode, the web wraps 180 degrees or more around each compaction roll, which dramatically increases the resin’s exposure to heat . 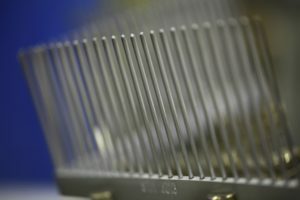 This can allow much higher operating speeds on some products. Our superior compaction designs incorporate key features that give you the capability to produce prepreg that is consistent along the web, uniform across the web, with no voids or gaps. Because of the viscoelastic characteristics of most resin systems, our prepreg machines typically incorporate multiple sets of compaction rolls. The gap between rolls is normally adjusted smaller on each progressive compaction roll set. True 0.0002” (0.005mm) TIR, using sophisticated bearings and bearing housings. The rolls are finish ground in the bearings. 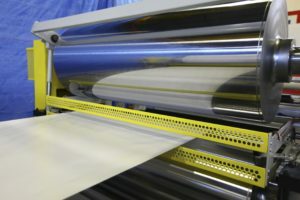 Rolls are large diameter, which minimizes deflection (typically 24” (610mm) for 50” wide (1270mm) machine) deflections are 0.00xx” (0.0Xmm) at 150 PLI. Precision gap-setting mechanism using a wedge-block design. 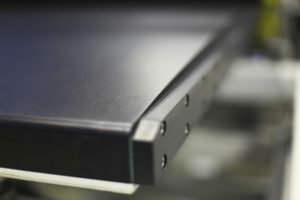 Because conduction is the most efficient method to transfer heat, our UD systems incorporate high heat transfer machined aluminum heating and cooling plates. Aluminum is used to maximize efficiency. The plates are curved so that the web is in intimate contact with the plate over its entire length. Heating is achieved using embedded electric heaters or fluids (water or oil). Cooling relies on fluids only. The design of the heating/cooling systems and the selection of aluminum for these plates results in temperature accuracy/uniformity of 1 degree C across the web. 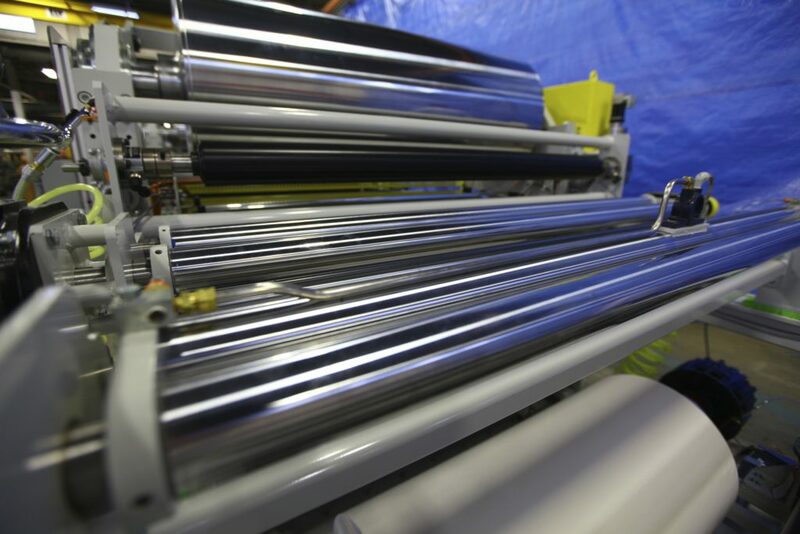 Our UD machines incorporate unwinds and rewinds for various papers, films, scrim, poly liners and edge trim.